Coloring books have become more and more popular over the past couple of years, and that’s because they help adults get in touch with their basic needs and forget all about their stressful experiences at work or just their everyday life. Some books can have intricate design compared to others, and they might leave you feeling baffled as to how you can color them. The point is that you can never go wrong. Use your imagination and the final results will end up a masterpiece, regardless the colors you will utilize. 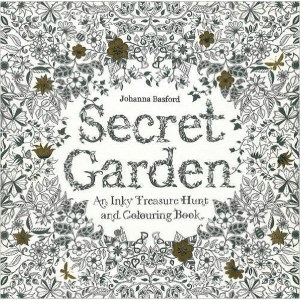 Basford is one of the best-known authors of coloring books, and that shouldn’t come as a surprise given that she has also penned Secret Garden, one of the first works of this kind ever to have seen the light of day. 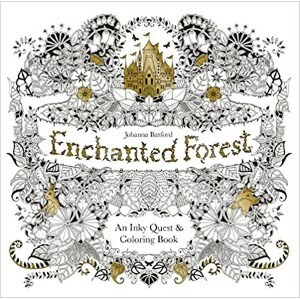 Enchanted Forest is a magic coloring book that will allow you to experience a fairytale-like journey thanks to the detailed flora and woods present between the pages of this work. A myriad of magical elements will surely charm you, be they the treasure chests or castles. The jacket is also colorable. 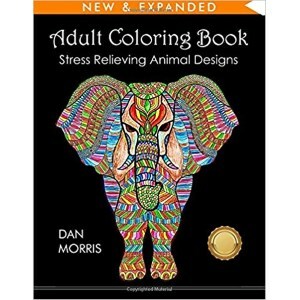 Whether you are a cat or a dog person, you’re likely to enjoy coloring this particular book. All coloring enthusiasts are bound to fall in love with its designs, and the plethora of unique motifs such as hearts, paisleys, and flowers, will leave you wanting more. 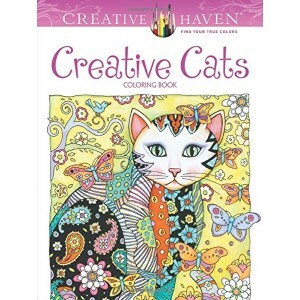 There are thirty pages of coloring cats and other elements between the covers of this book. So, it is a bit shorter when compared to others. Nevertheless, it’s just as enjoyable. Moreover, it doesn’t cost a fortune, unlike other products in this particular line. 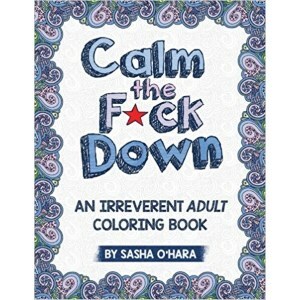 As we were saying at the beginning of our selection, Basford is one of the most sought-after authors of coloring books. Secret Garden is by far one of her most popular works, and it has received over three thousand favorable user reviews on a multitude of retail websites. Given that Basford and her publishing house have managed to sell over 11 million copies of this book, it goes without saying that it’s worth giving a try. Both the book cover and its jacket can be colored. Besides, every page has a secret, which means that you’ll be able to discover creatures and other magical things by putting the puzzles together. While for some, this type of book might seem a bit crass, to others it might be just the thing they need. Let’s face it. Adults don’t have extremely calm lifestyles, and that’s because everybody seems to get on our nerves. Whether it’s our boss, co-workers, deadlines, or sometimes the ever-growing demands of people at home, we’re bound to get stressed at some point or the other. This book comes with forty creative designs, and original swear words, insults, and all sorts of exclamations that can help anyone blow off some steam. It’s pretty cheap, too, so it definitely addresses people who don’t want to break the bank. If you love animals, this coloring book is for you. It’s just as budget-friendly as some of the other choices that we have showcased in this list. However, it comes with as many as fifty animal patterns, so it is a bit more generous in this sense. It also boasts a good deal of big and small creatures alike, from different environments such as the ocean, grasslands, and forests. Besides, it speaks to the needs of both beginners and advanced colorists given that some of the designs are very intricate while others are super simple. Each and every one of us needs a bit of support once in awhile. It’s challenging dealing with all of the unpleasant and perhaps surprising situations that come at us every day. This book is motivational and sweet and will help you feel a lot better about your day and your life, in general. It will actively help lift your spirits as each of the statements between the covers of the book are made especially with this purpose in mind. It’s positive and stress-relieving, and it has received a lot of favorable reviews. 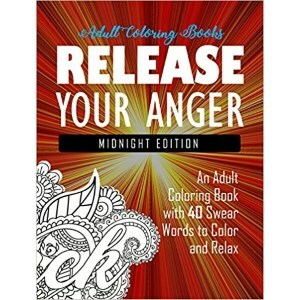 Much like the Release Your Anger book we were mentioning above, this one seems to be intended for people who have a sense of humor, and they are not afraid to show it. 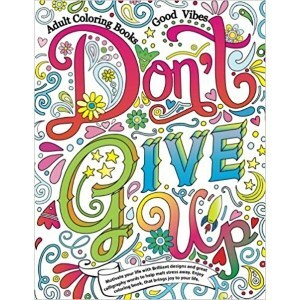 This product is an adult coloring book that comes with sassy quips and a lot of things that grown-ups say to sometimes make fun of apparently tricky circumstances. Because this product contains adult language, it is not designed for kids. We had to note this so that parents don’t accidentally buy it for a ten-year-old, for example. Otherwise, he or she would learn a less appropriate vocabulary. The amazing thing about this option is that it comes with as many as forty stress relief design. The amazingly detailed illustrations will help you relax. Even if you aren’t at the seaside, you’re bound to like coloring the pages in this book as it will enable you to enjoy several hours of fun, meditation, and a whole lot of inspiration. 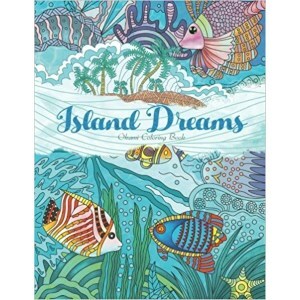 This product can also be used for helping children relax as it comes with illustrations of fish, tropical ecosystems, and beautiful plants and flowers. 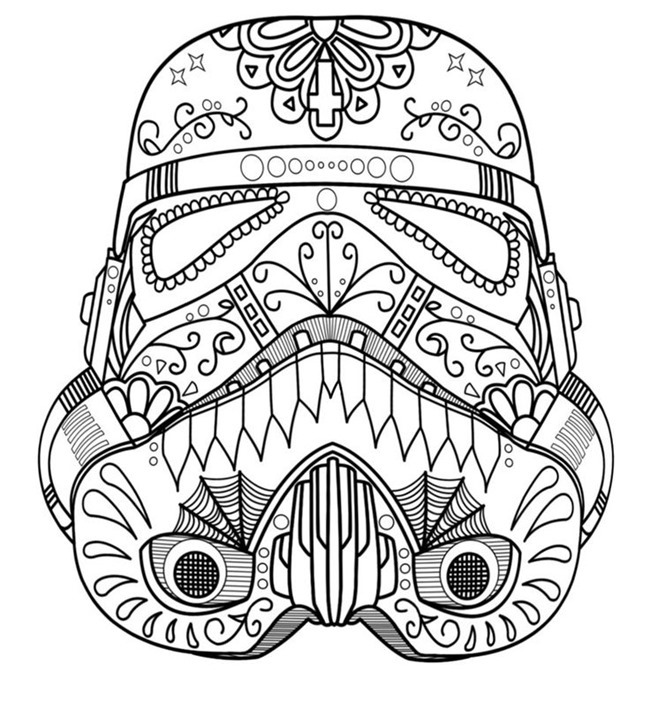 It’s just as affordable as some of the other coloring pages we’ve included in our selection. Adult coloring books have gained tremendous popularity over the past years, and more and more people have embraced this unique hobby. Most people believe that you need an actual talent for drawing but the truth is that all you need is the desire to spend some free time doing a recreational activity that gives you a feeling of total relaxation. If you’re eager to start your own coloring practice or want to buy a gift for a special friend but don’t know for sure what tools you need or what cool adult coloring pages to buy let us guide you through this wonderful journey. We’ve done our homework and found some interesting facts that we want to share with you. It’s not that difficult to find cool coloring pages for adults if you pay attention to aspects like the type of coloring pages, color shades, and personal style. These are essential pointers that we included in this useful buying guide. Once you start reading, you’ll look at the adult coloring industry with a different perspective and the thought of looking for cool coloring books more appealing. There is a variety of cool coloring books for adults that come in different formats in order to match each person’s preference and desire for drawing. If you want to make an awesome choice, then you should pay attention to these features because they are the key to having tons of fun using crayons, pens, markers, and even paint brushes. Before these coloring books for adults had started to make their way to library shelves, we everybody used to think that coloring books were strictly for children. Coming from Europe, this activity gained so many fans and success that more and more publishers and book retailers saw this as an opportunity to create a niche for adults that want to cope better with stress and reconnect with the child that they have in their character. Generally, you choose to read a book based on the way you feel in a specific moment. We relate to stories that deal with something that is familiar to us. The same goes with adult coloring books for sale. We decide what designs and drawings appeal to us according to the inspiration we get when we look at the pages. You can opt for animal sketches, nature landscapes, Disney characters, mandalas or entangles. There are so many alternatives that it’s impossible not to find a cool adult coloring book. No matter your preferences, you can look for inspiration online and see some cool drawing techniques and advice. If you’re buying for yourself and you’re a newbie in this area choose simple things such as dogs, cats, and geometrical design, which do not require a large palette of crayons for drawing. We’ll talk about colors somewhere else but you should be aware that this hobby is addicting, and once you get started you’ll end up buying books and crayons week after week. The best coloring books for adults offer variety in one copy because people tend to get bored if they don’t experiment with colors and patterns. If you got to the point where you’ve already purchased one you most likely want to know how to draw something that looks nice and rather professional. 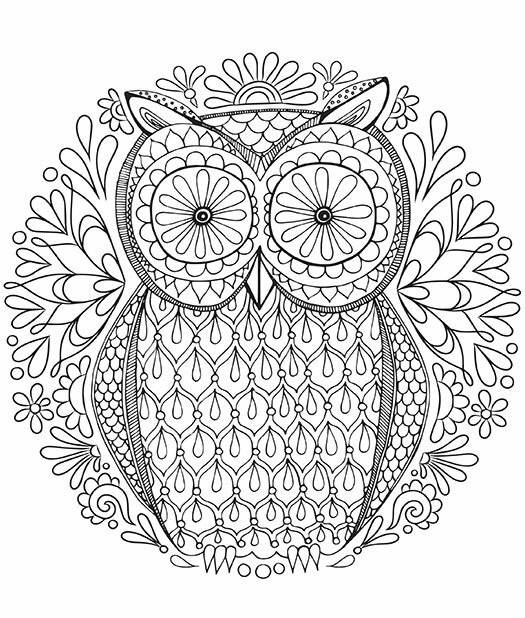 Coloring pages are fun, but the trick is to know how to combine the shades in order to get a perfect result. Let’s say you want to draw a giant vase with flowers. You’ve got accessories on the front of the vase and many flowers in the bouquet. The first thing you should do is to invest in crayons that come with different color shades. This way you can create color pallets. Drawings need harmony otherwise the human brain doesn’t get enough stimulation from a dull color combination. The main purpose of these adult coloring books is to spark our creativity and allow us to relax our mind. Colors come in three major categories: primary, secondary, and tertiary. Primary colors are red, yellow, and blue and are considered like this because they can’t be created from other color combinations. Secondary ones are green, orange, and purple. The last, the tertiary ones, are a simple mix of a primary color with a secondary one. If you obey these rules, you can make beautiful drawings that will catch everybody’s eyes. Artists use them because they want to communicate a feeling with their drawings and paintings. You can benefit from colors more than you think if you mix colors until you achieve an overall nice drawing. One piece of advice is to use an elastic band to keep the crayons or brush tip pens once you’ve discovered a nice color palette and want to make sure you don’t forget it until the next drawing. If you subscribe to adult coloring books, you’ll get weekly or monthly volumes with pages that you can color. One thing worth mentioning is that usually, a volume like this has a theme. Therefore, if one book covers animals and birds the next one will offer more landscapes or flowers. Not all coloring books have the same level of difficulty. But this is quite useful because you get to develop your skills with each book you purchase. You can spend an half of hour on a flower and days for a monkey or a garden. If you need them as gifts for family and friends you should research if they don’t have favorite coloring books brands or volumes that are missing from their collection. Adults have different tastes for fiction books, and the same applies to coloring pages. We all prefer to relax in our own way and we make sure that the drawing reflects our personality because it is an artistic expression of our personal style. Adult coloring books are great ideas for birthday presents, and you can share this passion with others and even create a club to share your work of arts. You get to interact with other people and do something fun and creative at the same time.